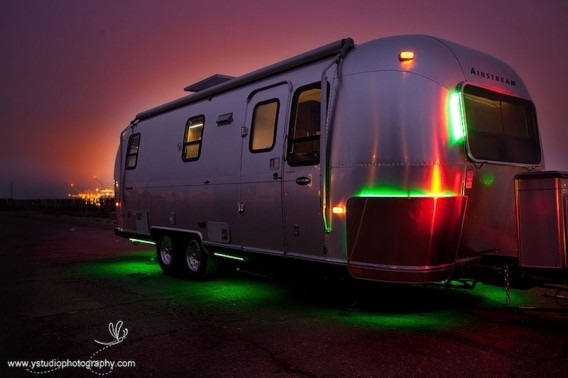 Are you the type who LOVES anything Airstream? Join the club. There’s just something about the sleek styling and timeless beauty of these classic trailers that provides universal appeal. 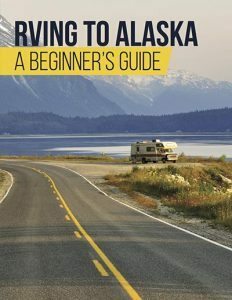 Airstreams of all ages are popular travel trailers for those who enjoy remodeling. 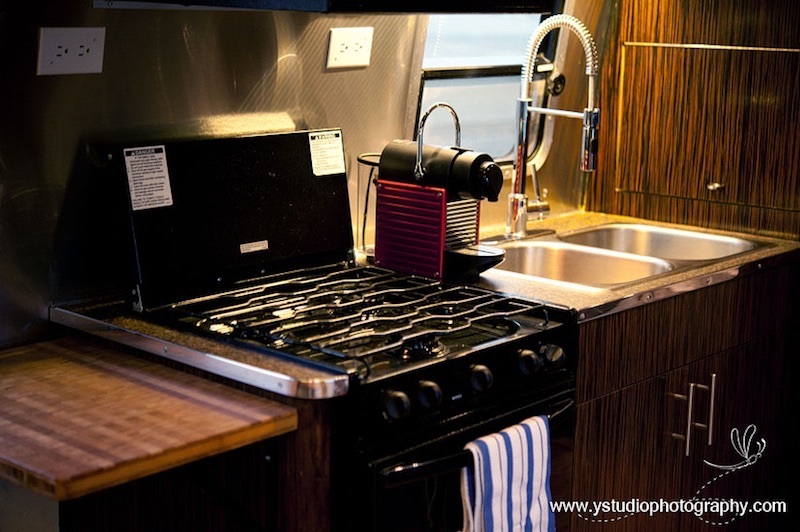 Even some newer Airstream undergo renovations to fit the needs or specific desires of the owners. Owners such as CeCe and Brenda who updated their classic beauty to be an environmentally friendly testament to green living. When the couple decided to downsize from their 1,500 sq. ft. house they chose a 2003 25-foot Safari model as their new home base. 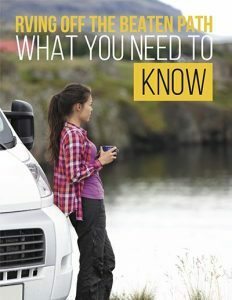 Now their life consists of a 200 square foot trailer pulled by a biodiesel conversion truck that runs on waste veggie oil. And that’s just the start of the amazing transformation. This couple decided that anything that anything that wasn’t necessary needed to go. 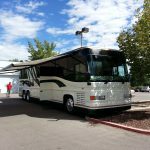 They wanted to travel and show people that green living is possible in even on the road. 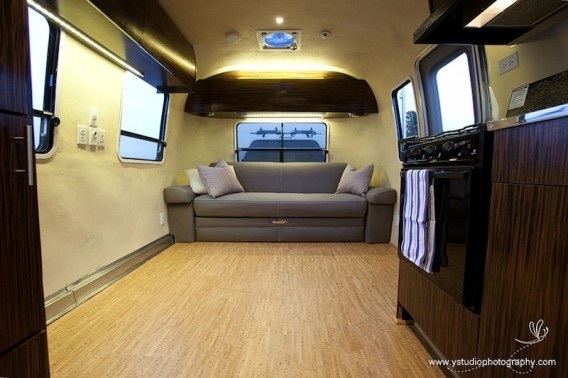 Fortunately, Cece and Brenda were able to gather sponsors that helped to pay for this detailed Airstream renovation.